Editor’s note: Judith Browne Dianis is one of the nation’s leading voting rights litigators and is co-director of Advancement Project, a next generation civil rights organization that focuses on issues of democracy and race. 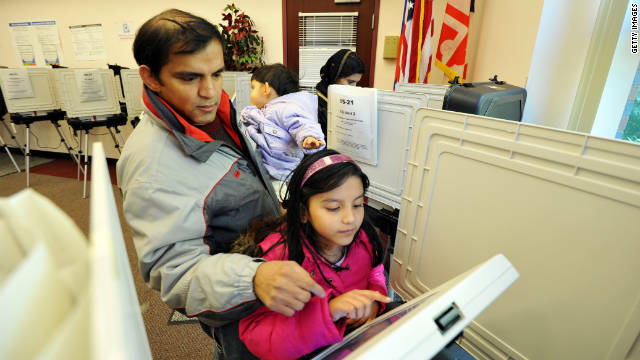 (CNN) – Today millions of people will go to the polls to vote in state and local elections. As they cast their ballot, they cast a vote for the most treasured aspect of our democracy. The voting booth is the one place where we are all equal — all Americans are able to have an equal voice in determining the shape of our government. That sacred right is now under the largest assault we have witnessed in more than a century. A new documentary from Brave New Foundation reveals strong partisan backing of these laws. Under the pretense of safeguarding elections against voter fraud,the American Legislative Exchange Council, a conservative advocacy group that receives funding from the billionaire Koch brothers (who also back the tea party), crafted and distributed model voter ID legislation introduced in more than 30 states this year. But widespread voter fraud is a myth. A report from the Brennan Center for Justice says strict ID verification requirements “address a sort of voter fraud more rare than death by lightning.” An extensive analysis of data from all 50 states by the U.S. Justice Department found that incidents of voter fraud are exceedingly rare.